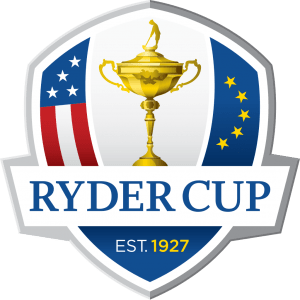 The Ryder Cup gets underway at Hazeltine National Golf Club, Chaska, Minnesota on Friday, September 30 with Europe looking to win one of the most prestigious prizes in the game for the fourth successive time. Hazeltine is an extremely long golf course – over 7,600 yards long, in fact – with three par-5s in excess of 600 yards, but the rough is cut short, so it’s not as punitive as might otherwise be the case. In other words, the course is set up to suit big-hitters, so Dustin Johnson, second on the PGA Tour for driving distance, looks a decent bet at 15/2 in Top Combined Point Scorer market. The last time the Ryder Cup was played on US soil, at Medinah Country Club, Illinois, in 2012, Johnson played just three of five possible matches but, four years on, the US Open Champion looks a banker to play all five this time around. In 22 starts on the PGA Tour this season, he’s won the US Open, the Bridgestone Invitational and the BMW Championship, recorded top 10 finishes at the Masters and the Open Championship, to name but two, and missed just one cut. He must take some beating, in any format, over the weekend. 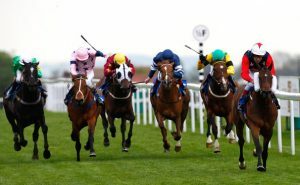 The William Hill Ayr Gold Cup (3.45) on Saturday is as competitive as ever, but it’s hard ante post favourite Growl (6/1), who was denied a clear run at a crucial stage in the Stewards’ Cup at Goodwood seven weeks ago. Richard Fahey’s 4-year-old eventually snatched fourth, 1½ lengths behind the winner, Dancing Star, but the way he quickened in the last half a furlong suggested that he would have gone very close to winning granted an uninterrupted passage. Even if taken at face value, the form is smart and, off a 2lb higher mark, Growl makes no little appeal, especially as he has winning form on soft going. The Oasis Dream gelding wasn’t ideally drawn, in stall 26, at Goodwood but, provided he fares better in that respect this time, he must have every chance of winning a third Ayr Gold Cup for the Musley Bank trainer, after Fonthill Road in 2006 and Don’t Touch last year. A total of 15 horses stood their ground at the latest declaration stage for the Ladbrokes St. Leger Stakes (3.45) at Doncaster on Saturday, but Aidan O’Brien’s Galileo colt Idaho is already odds-on (1.97) on Betfair. 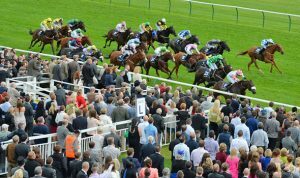 Idaho finished second in the Derby and third in the Irish equivalent before forging clear in the closing stages to win the Great Voltigeur Stakes by 1¾ lengths from stable companion Housesofparliament at York last month. He’s entitled to improve for that run, his first since June and appears versatile, ground-wise so, if he stays the extra 2 furlongs and 132 yards on Town Moor, he looks the one to beat. However, Aidan O’Brien has already voiced his concerns about the St. Leger distance for Idaho and it could be that Housesofparliament – who won Bahrain Trophy, over 1 mile 5 furlongs at Newmarket in taking style on his previous start – appreciates the extra yardage more than his stable companion. Of the other O’Brien entries, Sword Fighter was beaten, but far from disgraced, in the Goodwood Cup, against the older horses when last seen in July and will not fail through lack of stamina, while Red Verdon finished much closer to Idaho at the Curragh than he did at Epsom and is another who should relish the step up in distance, especially on rain-softened ground. All of a sudden, Idaho may not be the ‘good thing’ he appears and, while he may still win, a lay at 2.0 on Betfair might be the shrewdest play.